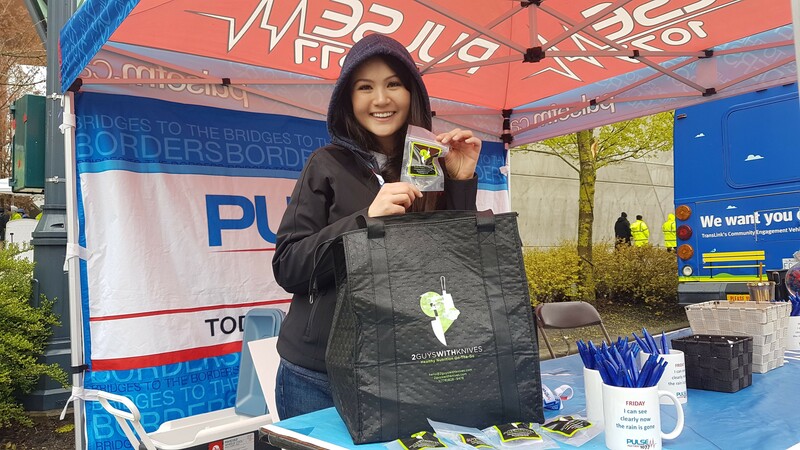 The City of Surrey’s Party for the Planet at Surrey Civic Plaza celebrated Mother Earth to the fullest over the weekend! From rock climbing, zip lining, environmental and gardening workshops, kids paint classes, consignment clothes sales, tons of food vendors and more there aren’t many partys that can compete with what’s become one of the biggest City of Surrey events of the year, thousands of people braving the wind and rain to take part in all the fun. Of course Pulse FM was in on the action, live-on location handing out free swag, grabbing Pulse FM fans to play a fun, jelly bean counting competition, and of course rock out to your favourite 90s, 2K and today music! A big congrats to Christy Mudaliar for winning the Pulse FM jelly bean contest, winning a $100 gift certificate to Fresh. St. Market and 1,902 Jelly Belly jelly beans from Sticky’s Candy and Bakery in Langley! Come visit Pulse FM at our next live-on-location event at this Saturday’s Vaisakhi Parade in Surrey!